Homeschool days can be great or they can be awful. Most commonly, they are somewhere in the middle. I’ve noticed, though, that our days are only as good as our beginnings. If we start off on the wrong foot, the rest of the day it is difficult. Cranky kids, cranky mom. If we start things off right, the day may not be perfect, but at least it starts out on the right track! Here are three things that we do together that help make our homeschool days go more smoothly right off the bat. 1. We get dressed everyday first. I know so many people applaud homeschooling for the flexibility of being able to school in any way: pajamas or clothes. We are a “get dressed” family. We’ve tried pajama schooling and it just does not feel right. Before we do anything school or family related, we have to be dressed for the day. Most days, this includes getting dressed before breakfast. As the busy mom, I know that if I neglect getting a shower in right away (hopefully before the toddler is awake! ), then it may be a lot later in the day before I get a chance. I feel like we are ready for learning when we’re dressed. 2. We eat breakfast together. It is a nice time to bond together as we sit and eat. I also feel it would be a challenge to get any work done with out first filling our bellies! I think breakfast is an important start to any school day, even for those of us schooling at home. 3. We start with a devotional. Before we jump in to our official curricula, we have a short devotional together, as a family: toddler, Raisin, and I. We’d love my husband to join as well, but he’s usually long into working by this point. Some times when I’m having a cranky day with the kids, I stop to think about our morning, and those are the times I realize we didn’t do our devotional time. To me, I find that the refocusing of our family in those short minutes really helps us get our minds ready for learning the rest of the day. I believe the Spirit of Christ helps us learn truth. Some of you may disregard this: maybe you are a secular homeschooler. But I’d suggest reconsidering. Although in our case our devotional time revolves around religious principals and scripture, any type of time together can help bring unity together. Focus on an important family value and read a poem together; or talk about something that happened recently. I believe focusing on a common and positive goal as a family, daily, will help you in homeschooling, regardless of whether it is religious in nature or not. Do you make your kids get dressed before homeschooling starts? Why or why not? Is breakfast required? Do you have a family devotional in the mornings too? 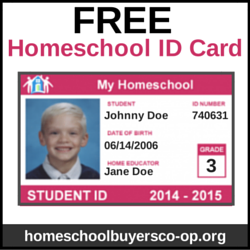 What is a “must” for your homeschool environment before the more formal schooling begins? I’m linking up with List it Tuesday at Many Little Blessings and Weird, Unsocialized Homeschoolers! images from Pat Winberg, Jane M. Sawyer, and JFelias.